Our Brain Synergy Program helps you help your children. Chiropractic care helps release the tension from the spinal cord so the right and left hemispheres of your brain can communicate better. In addition, proper nutrition may help promote significant differences in your child’s health and behavior. An evaluation totaling six hours will be broken down into three separate, two-hour visits. We’ll use computerized testing to quantify results and evaluate the patient in different ways. A metronome computer program will show us where coordination is lacking or delays are existing. By incorporating chiropractic, orthopedic and neurological examinations, the neurological deficits present will be measured to determine an appropriate program of care. This trifold program will address neurobehavioral and metabolic imbalances as well as sensory motor issues. 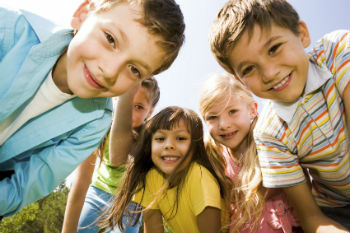 On the next visit following your evaluation, we’ll devise our plan to help improve your or your child’s health. Costs will be discussed and you can decide whether you want to start your individual program. Dr. Bach’s Flower Remedies may help with various emotional or behavioral issues. Music therapy may be used in the office or at home, tailored to whether the person is left-brain or right-brain weak. The metronome computer program and specialized exercises can also be done at home to stimulate the coordination of the left- and right-brain hemispheres. Find wellness in mind, body and spirit. Contact our office today to discuss how we may help you or your loved one!